This All Terrain elegant road vehicle is comfortable and very spacious. We can say that the V.W. 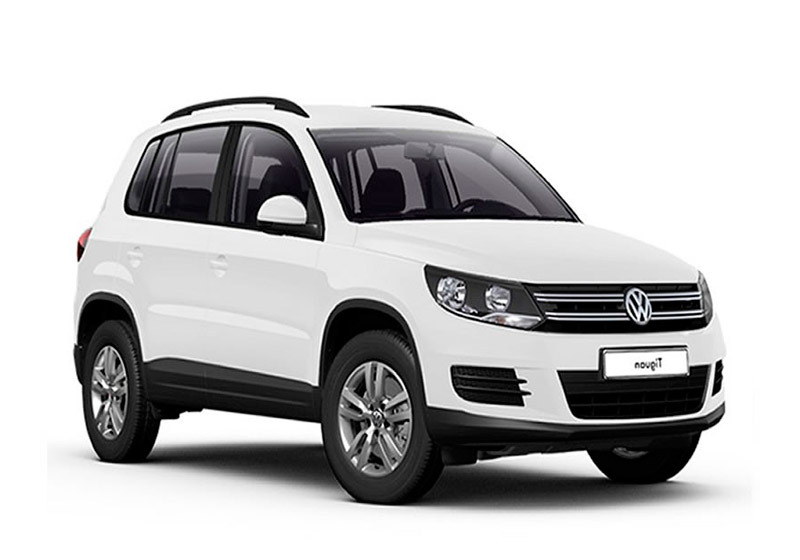 Tiguan is the more economical version of the V.W. Touareg.Equipped with an elegant interior, it boasts air conditioning, electric windows, assisted steering and all the commodities that you can expect from a rental vehilce.